This unique text focuses upon the inherent difficulties associated with small firm contractual relationships. ∗ The economic interests and incentives associated with various small firm ownership and financial structures. ∗ The difficulties in monitoring and enforcing contractual obligations. ∗ The problems of obtaining reliable information on firm performance. ∗ The importance of internal decision making and the management of change. ∗ The impact of legislation and other non–governmental forms of regulation in small business relationships. The analysis and discussion of these issues draws together for the first time recent theoretical and empirical developments from the economics of industrial organization and labour and financial economics. 3. 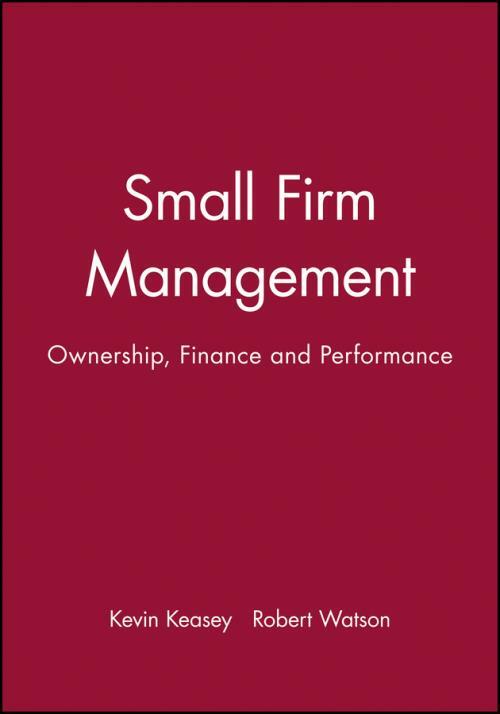 Small Firm Ownership and the Provision of Financial Information. 4. Small Firm Survival and Failure. 5. Small Firms and their Sources of External Finance. 6. Internal Financing, Directors Remuneration and Taxation. 8. The Performance of Small Firms. 9. Managing and Financing Successful Small Firms. 10. Conclusions and Future Prospects.